Borneo Backpackers i Kota Kinabalu, Malaysia: Reservér nu! 5 minutes walk to convenient store and Gaya Street Sunday Market. 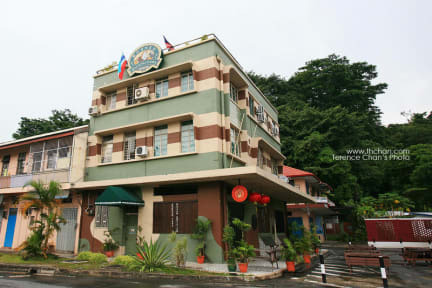 5 minutes walk to Sabah Tourism Board. 5 minutes walk to Malaysia Tourism Board. 10 minutes walk to shopping mall. 10 minutes walk to Atkinson Clock Tower and long distance bus terminal. 15 minutes walk to Ferry Terminal [Labuan/Brunei and Tunku Abdul Rahman Park(TAR)]. 30 minutes walk to Signal Hill Observatory view of Kota Kinabalu. We offer facilities such as clean bathrooms, toilets, pantry area, free internet and WIFI facility, laundry, cosy lounge area, roof garden deck, 24 hours security, and a tour information counter. 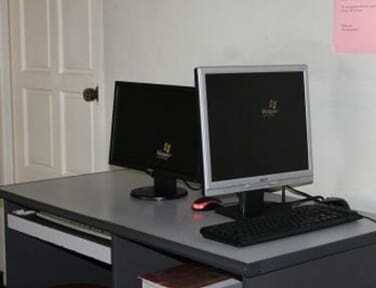 Rooms available include airconditioned or fan dormitory and private room for single, twin, triple or group. The ground floor of Borneo Backpackers has been converted into a local style post war coffee shop completed with antique furniture and traditional local foods, named 'Borneo 1945 Museum Kopitiam'.